I'm in love with KraftyBloks! 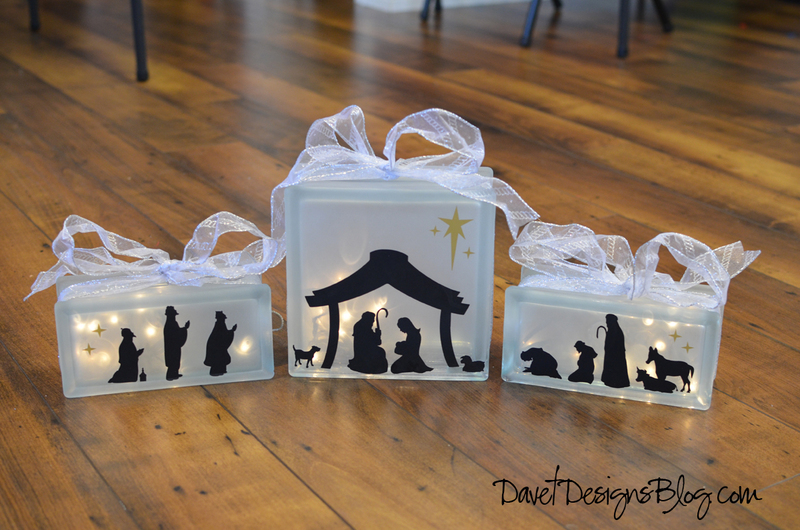 I loved creating this nativity scene for my Christmas decor. I wanted something that was simple and modern, but without a lot of small pieces. 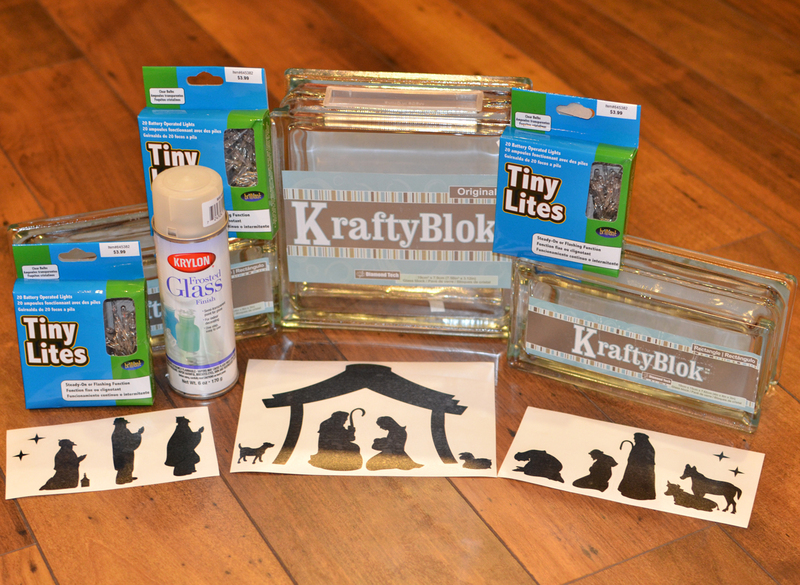 First you will want to remove the packaging stickers from your KraftyBloks and clean them with glass cleaner. I purchased my KraftyBloks from Hobby Lobby using my 40% off coupon. 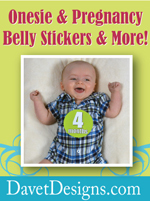 They are about $10 each (without the coupon). 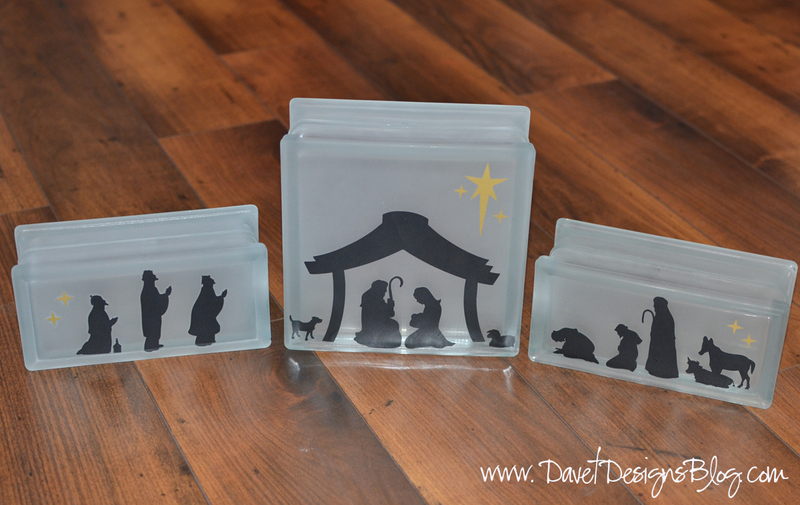 The vinyl nativity scene decal set you can purchase from Davet Designs. 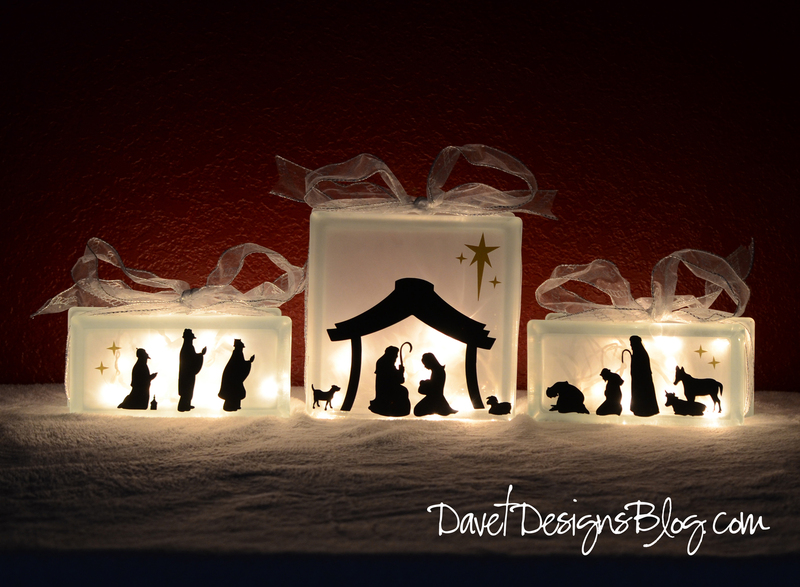 The mini lights were also purchased from Hobby Lobby in the same end cap as the KraftyBloks. 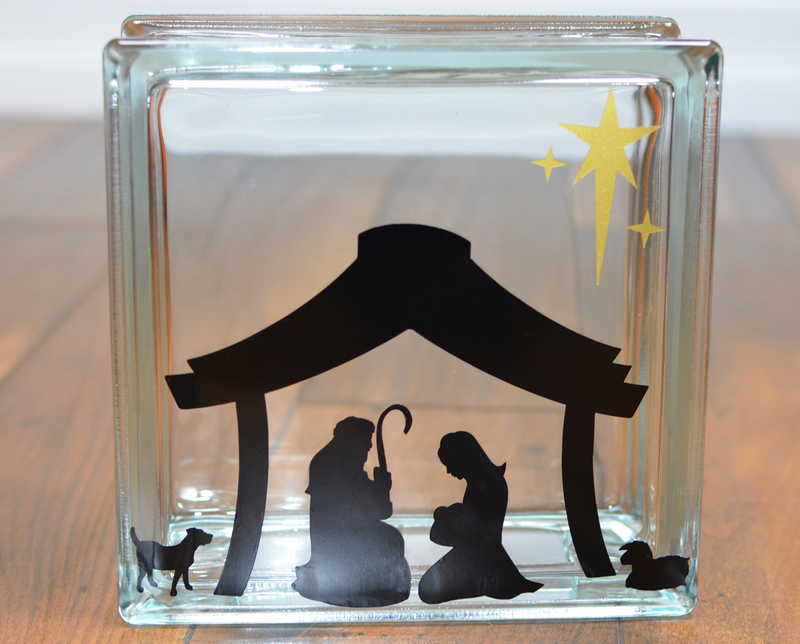 Apply your Nativity Scene Vinyl Decal using the "How to apply vinyl lettering and decals" tutorial (see label "how to apply vinyl lettering" on this blog). Before you apply your decals, determine where you want the opening of the blocks to be located. I made the opening on the bottom for the middle block. For the sides, I had each of the openings face inward. 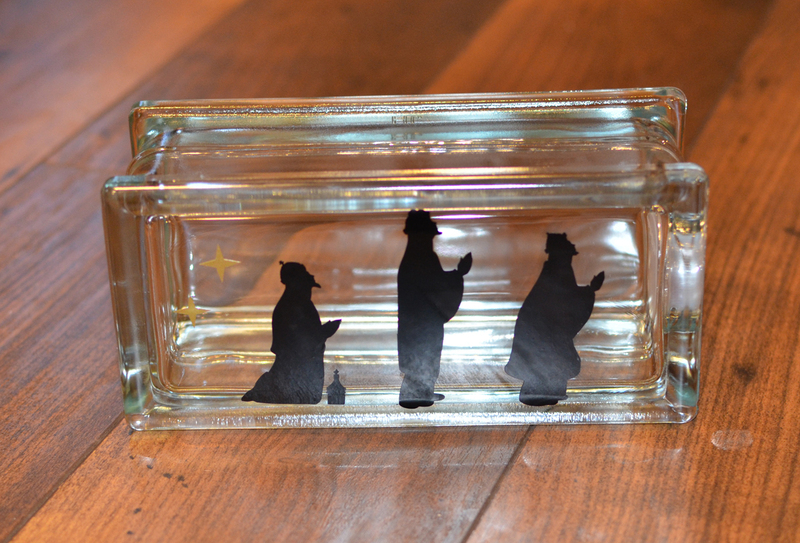 With your frosted glass spray, you will spray each of the 3 KraftyBloks (with the vinyl decals already applied). Make sure you spray paint the front, back and sides of each block, per the instructions on the can. The frost will give it a soft look and hide your lights. 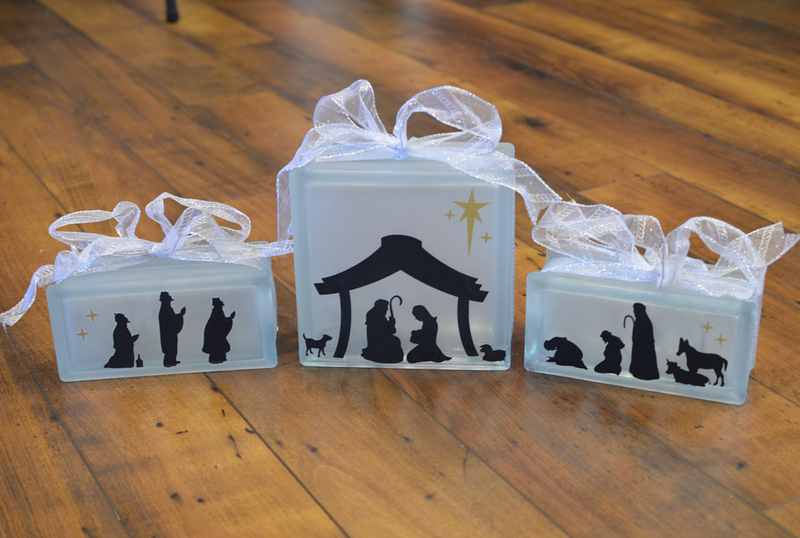 Now you are ready to put the lights in your blocks. 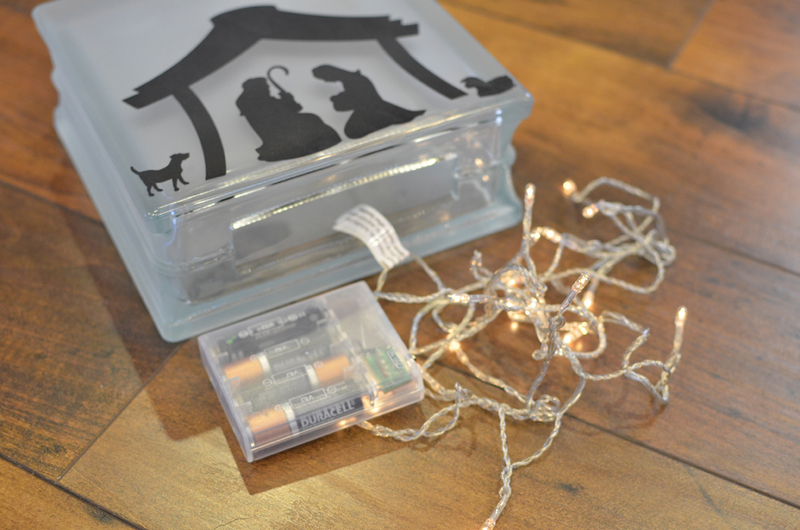 I purchased the battery powered mini lights, but you can use the plug-in lights as well. For the side blocks, tread the lights into the hole. For the middle block, you can tread the lights into the hole or just put the whole battery pack and lights into the block. 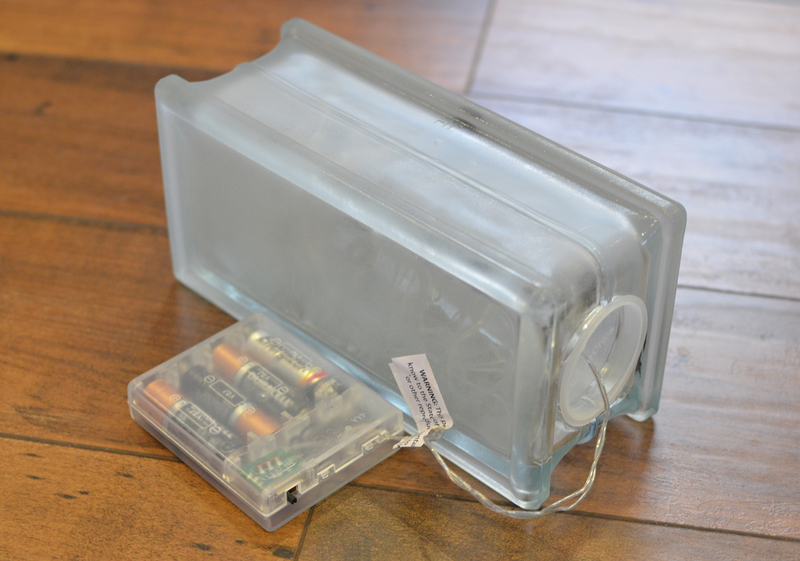 If you put the battery pack into the block, you will have to open the block each time to turn it on and off. 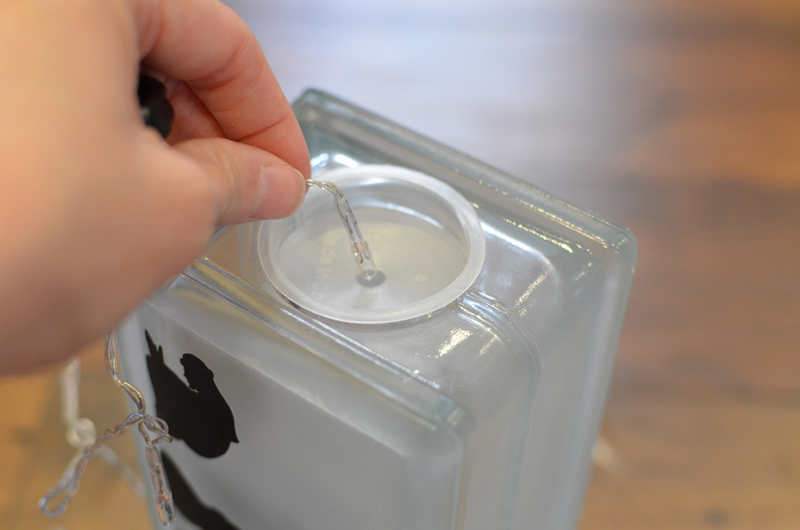 Loop the wire to the backside and set the battery pack behind the block. The frosted paint will hide the lights nicely. If you'd like, tie wire rimmed ribbon around each block and make a bow. This gives it a nice finished look. 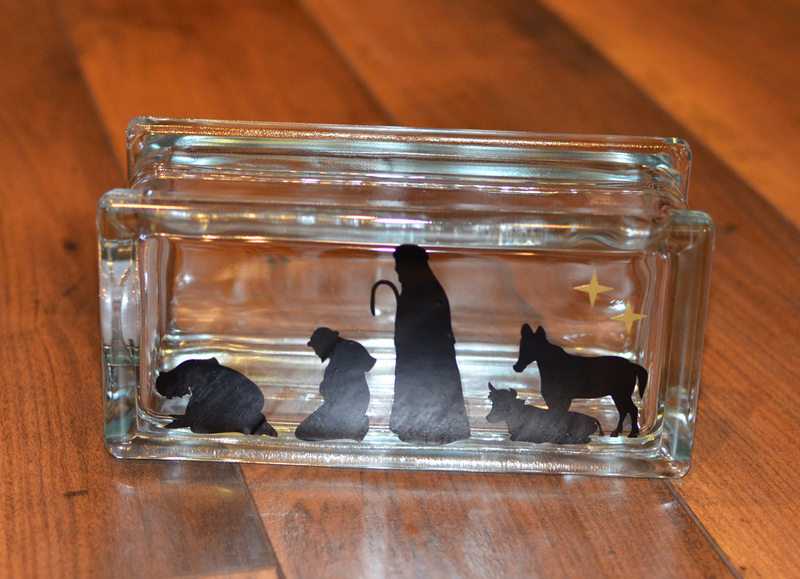 Your nativity scene is complete! Turn on the lights and enjoy. I set my nativity scene on a table covered with a fluffy cream colored blanket. 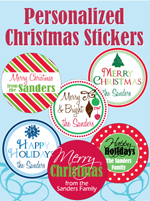 Really amazing and enjoying different kinds of shades can be used when making personalized vinyl decals in a small home model such as green and black and many more eye-catching shades. Great idea here. Love the finished look. I love how elegant this is. 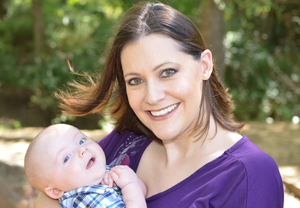 I would love to use the picture you took of the final product to put on a Christmas party invitation. Can I pay you to use this photo? If so please send my your contact information to my email dionira@hotmail.com. Thank you so much. Very nice! I hadn't seen the rectangular blocks before. Dumb question--you say you sprayed the blocks after applying the decals, but it doesn't look like the decals got "frosted" with the spray. Can you explain a little more how you applied it? Thanks! The decals were sprayed over as well, just can't really tell in the picture. just makes them a little more matte looking than before sprayed.